Buy a new version of this Connected Casebook and receive access to the online e-book, practice questions from your favorite study aids, and an outline tool on CasebookConnect, the all in one learning solution for law school students. CasebookConnect offers you what you need most to be successful in your law school classes—portability, meaningful feedback, and greater efficiency. In Civil Procedure, Tenth Edition, the authors employ a pedagogical style that offers flexible organization at a manageable length. The book gives students a working knowledge of the procedural system and introduces the techniques of statutory analysis. The cases selected are factually interesting and do not involve substantive matters beyond the experience of first-year students. The problems following the cases present real-life issues. Finally, the book incorporates a number of dissenting opinions to dispel the notion that most procedural disputes present clear-cut issues. Stephen Yeazell is David G. Price and Dallas P. Price Distinguished Professor of Law Emeritus at the UCLA School of Law. He writes about the history and theory of procedure and about the dynamics of modern civil litigation. He teaches courses that correspond to these interests: Civil Procedure, Contemporary Civil Litigation, International Civil Litigation. He has received the campus’s highest awards for his teaching (the University's Distinguished Teaching Award) as well as for his research (the UCLA Faculty Research Lectureship); he was also the first recipient of the School of Law's Rutter Award for Excellence in Teaching. He served as Associate Dean of the School of Law from, as chair of the UCLA Academic Senate, and as Interim Dean of the School of Law in 2009-10. Professor Yeazell's books include From Medieval Group Litigation to the Modern Class Action (1987); Civil Procedure (8th ed., 2012), and Contemporary Civil Litigation (2009). He is a Fellow of the American Academy of Arts & Science. Joanna Schwartz is a Professor of Law at UCLA School of Law. 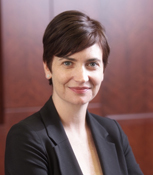 She teaches Civil Procedure, the Civil Rights Litigation Clinic, and a variety of courses on police accountability and public interest lawyering. In 2015, she received UCLA’s Distinguished Teaching Award. Professor Schwartz is a graduate of Brown University and Yale Law School. She was awarded the Francis Wayland Prize for her work in Yale Law School’s Prison Legal Services clinic. After law school, Professor Schwartz clerked for Judge Denise Cote of the Southern District of New York and Judge Harry Pregerson of the Ninth Circuit Court of Appeals. She was then associated with Emery Celli Brinckerhoff & Abady LLP, in New York City, where she specialized in police misconduct, prisoners’ rights, and First Amendment litigation. She was awarded the New York City Legal Aid Society's Pro Bono Publico Award for her work as co-counsel representing a class of inmates challenging conditions at Rikers Island. Immediately prior to her appointment, Professor Schwartz was the Binder Clinical Teaching Fellow at UCLA School of Law.